Regardless of industry sector or business sector, employers are required under the 2005 Safety, Health and Welfare at Work Act, “to ensure, so far as is reasonably practicable, the safety, health and welfare at work of their employees”. The key to ensuring the safety and health of employees, contractors and visitors to the workplace, is having and operating a robust, active and meaningful health and safety management system that offers protection for everyone. 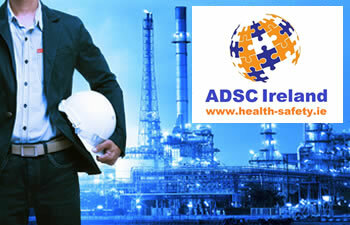 ADSC Limited (ADSC), offers an unrivalled range of health and safety consultancy services for small, medium and large businesses and organisations, having been in business for the past 10 years. To date, we have helped over 1000 clients with health and safety solutions and our health and safety consultants are experts in their individual fields, each with the appropriate qualifications. Preparation of Safety Statements: A legal requirement for all entities trading in Ireland. Failure to have a relevant up-to-date, site specific safety statement can result in the Health and Safety Authority (HSA), initiating criminal proceedings against directors and senior managers of the offending business. Developing Risk Assessment: Risk Assessment forms part of the Safety Statement, and again, is a legal requirement under Section 19 of the 2005, Safety, Health and Welfare at Work Act. Risk assessments outline and ensure how all work activities are undertaken in a safe manner by identifying the hazards and evaluating the risk. The process also looks at assessing who may be harmed and why. This is followed by creating and operating control measures and evaluating and reviewing these controls as necessary. Conducting VDU / DSE Assessments: The Safety, Health and Welfare at Work, (General Application) Regulations 2007, outline the various requirements that must be adhered to in relation to Visual Display Unit / Display Screen Equipment – (VDU /DSE). In addition to these services we also provide health and safety audits and inspections. 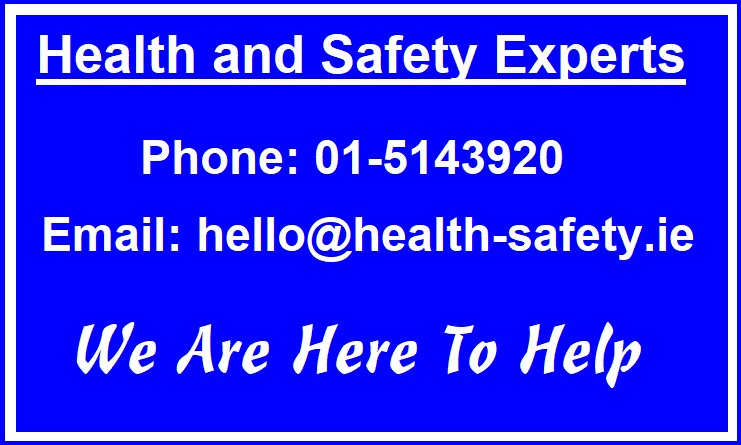 Our Health and Safety Consultancy services are available throughout the greater Dublin area and throughout Ireland. We would welcome the opportunity to submit a proposal covering your all health and safety training requirements for your organisation.